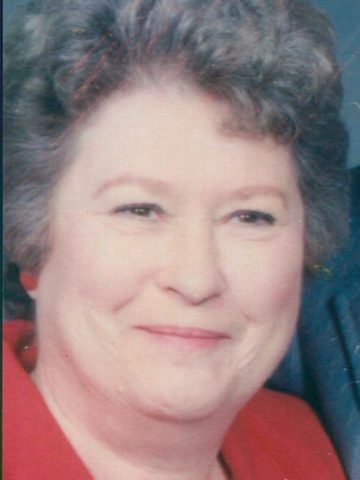 Mrs. Betty Jean Stewart McDaniel age 86, of Gallatin, TN, passed away on Thursday, July 26, 2018. Mrs. McDaniel was born in Tennessee City, TN, on June 30, 1932, the daughter of the late Claude Thomas Stewart and Geneva Adora Stewart Eckert. 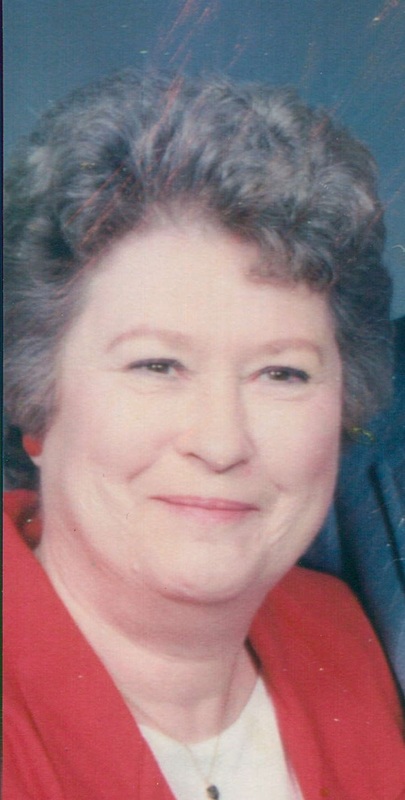 She was a member of the Ruth Ensor United Methodist Church. Mrs. McDaniel loved her family and enjoyed sewing, cooking, camping, crocheting, watching movies, fishing, knitting, and playing scrabble. Also, she was an excellent seamstress, working on wedding gowns and country music stars clothes. Survivors include her husband, Mr. Ulyss Glen McDaniel to whom she was married on June 28, 1946; son, Bobby (Linda) McDaniel; daughter, Lisa (David) Fields; three sisters, Ann Hooper, Mary Kellogg, and Gloria (Richard) Nelson; grandchildren, Glen Wayne (Kellie) McDaniel, Cindy Ann (James) Gilliard, Janis Lea McDaniel (Doug) Stromer; and great-grandchildren, Garrett Gilliard, Ella Gilliard, Abigail Gilliard, Eris Gilliard, Lauren Stromer, Sarah Stromer, Adisyn McDaniel, Corbin McDaniel, and Emmalyn McDaniel. Several nieces and nephews also survive. Graveside and interment services will be held Sunday, July 29, 2018, at 1:00 P.M., Hendersonville Memory Gardens. Gathering of Family & Friends will be held Sunday from 11:00 A.M. until the service hour at Hendersonville Funeral Home. My Aunt Betty was such a sweet, beautiful person. I have so many fond memories of her. Her children, grandchildren and great grandchildren meant the world to her. God Bless Uncle Glen, Bobby and Lisa, as well as all the families and friends. My heart is heavy, but I know she is in a better place! Love you. Aunt Betty was a beautiful person inside and out. She will be missed by all who new her. Aunt Betty was a sweet and kind women, always soft spoken when I was around. Another Angel gets her wings. Rest high on the mountain, Aunt Betty. Lord watch over Uncle Glen, Bobby, Lisa, and their families at this time. I love the whole family. Betty and Glen were our neighbors growing up in Madison. They were such good friends with my mom and dad. The kids were always together – five from our family and two from theirs. Bobby was close in age to me, and we kept a path from one house to the other where we always went to play. Betty and Glen were the best. I loved the visit we had with them when Bobby invited us down not long ago. I loved listening to Betty’s stories. I know she will be missed so much. Praying for peace for this sweet family. Moms are always so hard to turn loose. But we all have a chance to see them again in our Heavenly Father’s mansion. Love you Glen, Bobby, Linda, Lisa, David, and all the family. Praying for peace with lots of hugs and love. Today I said goodbye to Aunt Betty. She was a wonderful and beautiful soul who touched my heart as a small child and continued touching my heart through my adult life. Her bright and wonderful smile and gentle spirit touched all of us. She dearly loved her children, Bobby Glen and Lisa. I know your spirit soars high now that you have laid down your earthly suit, Aunt Betty. Rest peacefully, you will always be my movie star.